What does the Gu trial tell about the rule of law in China? It would be interesting to compare Gu Kailai’s trial with the trial of the Gang of Four in 1980. On the positive side, Chinese society is becoming increasingly mature. Three decades ago Chinese people just wanted the four radical leaders to be executed as soon as possible and thought the government was too lenient toward the four “evildoers.” Although some netizens expressed the same sentiment in Gu’s case, by and large Chinese today were concerned about whether Gu could receive a fair trial – indeed, supporters of Gu showed up outside the court questioning the trial process. On the negative side, aware that the trial put China’s political and legal systems in the spotlight, the central leaders hoped to use this opportunity to boost the regime’s credibility and to showcase China’s progress in the development of its legal system. The trial ended up not only laying bare some major legal flaws, however, but also showed the fundamental absence of social capital (i.e., trust in the government) in China. One scholar I recently spoke with noted that the government was unable to produce a good, convincing story out of Gu’s conviction, and “a high school student could tell a lot of contradictions in the details of the trial.” Some Chinese netizens even suspected that the defendant on trial was not Gu herself. Additionally, Gu’s mental status and Mr. Heywood’s alleged threats to Gu’s son were used to justify a lenient sentence, but none of these “facts” could be verified independently. In fact, according to The Washington Post, citing two sources close to the family, her son, Bo Guagua, submitted testimony to the court stating that he did not even have contact with Mr. Heywood. No matter how dirty the political game behind the Bo-Gu scandal, the Chinese political culture is such that a party leader should not expose any intra-party conflicts and tensions to the outside world. 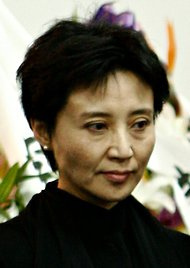 A party leader who violates this rule, like Zhao Ziyang did in the 1989 Tiananmen protests, could become extremely vulnerable to attacks by political rivals – indeed, one of Zhao’s major “mistakes” was “splitting the Party.” As Bo’s case threatens the legitimacy of the Party to rule, the need to maintain the Party Center’s façade of solidarity and harmony may be so overwhelming that leaders are willing to set aside their difference to unite for a common cause. When the scandal was initially reported in March, my first reaction was, “This is going to be big.” The Gu trial is a climax of the drama, but it also testifies to a setback in China’s rule-of-law building. Obviously, there is something seriously wrong with the Party but chances are that it may still be able to muddle through the crisis and claim business as usual in the upcoming 18th Party Congress. Yanzhong Huang is a Senior Fellow for Global Health at the Council on Foriegn Relations. He blogs at Asia Unbound, where this piece originally appeared. Chinese Communist Party Launches Campaign Against Organized CrimeChina’s Top Procuratorate Opens Criminal Case Against Sun ZhengcaiWere China's Corrupt Officials Plotting a Coup?The Bo Xilai Verdict: Everybody WinsBo Xilai’s Wife to Testify Against Him?